Hemp Oil may be a Great Topical Anti-aging Treatment for Aging Skin! Aging is a universal complaint and as a result, anti-aging treatments intended to fight skin aging drive an industry worth many millions of dollars. If you’re tired of face creams with unreadable lists of ingredients and no guarantee that therapeutic dosage of the active compounds are used, it may be time for a more natural approach. Hemp oil skin lotions may be an effective alternative anti-aging treatment. If you want to use hemp to fight aging, the way that you use it is very important. Smoking the strains which are more likely to be known as “cannabis”, after the genus name, can speed aging by producing damaging chemicals1. However, topical use of hemp oils and extracts may fight aging by reducing inflammation, reducing damage known as “oxidative stress” and preventing dryness. Hemp oil is high in the two essential fatty acids, fats that our bodies need to source from food. In a study of over four thousand women, higher intakes were linked with less senile skin dryness2. A trial where omega-3 fatty acids were prescribed, which hemp oil is rich in, also found that inflammation was reduced. Inflammation and oxidative stress are causes of aging, and have been suggested to be the main cause of aging3. Since 2000, aging has even begun to be called “inflamm-aging”. The seed oil of hemp also contains vitamin E, which has been shown to reduce effects of inflammation such as tissue damage and redness when applied to the skin2. Like other antioxidants, vitamin E “scavenges” damaging free radicals; this damage may lead to the inflammation seen in inflamm-aging. The cannabinoids, along with other components of hemp extracts such as terpenes, have also demonstrated antioxidant and anti-inflammatory effects4. Cannabidiol (CBD) has been found to possess stronger antioxidant effects than both vitamins C and E5. In fact, a study showed that CBD had twice the antioxidant ability of vitamin C. It is also anti-inflammatory, able to work against destructive markers such as tumour necrosis factor-alpha4. Cannabichromene (CBC) is anti-inflammatory too, and so is cannabigerol (CBG), which can block one inflammatory pathway more effectively than THC. The terpene beta-myrcene is anti-inflammatory by acting on one of the prostaglandin pathways (PGE-2); omega-3 fats also affect prostaglandin pathways. Another terpene, alpha-pinene, can have anti-inflammatory effects by working on another prostaglandin pathway (PGE-1). Beta-caryophyllene is also an anti-inflammatory through the PGE-1 pathway, with similar strength to another potent, yet toxic, anti-inflammatory chemical. Together as a whole hemp extract, these may be more effective than CBD alone, although it is the most researched component of hemp. A study6 comparing CBD and a whole hemp extract found that the extract was able to stop inflammation more effectively. Increasing doses of the extract only strengthened this effect, with the largest doses being more effective than the most potent dose of CBD. The CBD was only effective at one dose, and became less potent at larger doses afterwards. Overall, while research specifically on hemp and skin aging are needed, evidence describing its anti-inflammatory and antioxidant effects suggest that hemp and the cannabinoids may be an effective anti-aging treatment, inside and out. Aging is a universal complaint and as a result, anti-aging treatments intended to fight skin aging drive an industry worth many millions of dollars. 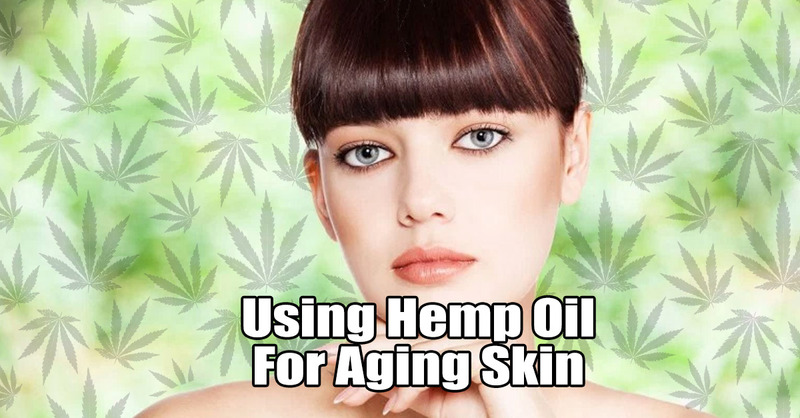 Hemp oil skin lotions may be an effective alternative anti-aging treatment.